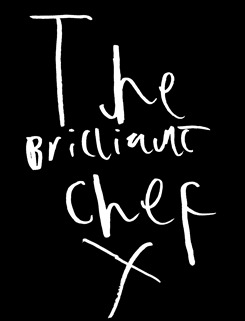 The Brilliant Chef: A Christmas Surprise from Hotel Chocolat! A Christmas Surprise from Hotel Chocolat! I was soooo excited when a special parcel arrived for me. My mum had kept it a surprise so I had no idea what was in it. But I was very happy when I opened it! Because....I LOVE chocolate! And Hotel Chocolat had sent me a little surprise for Christmas because they liked my blog so much. They sent me The Magical Christmas Selection Stocking and my mum interviewed me to find out what I thought of it. Mum: So do you like chocolate? Mum: Is it your favourite food? Dan: No. It isn't but it used to be until I tried moss at Noma. Now chocolate is my second favourite but I still love it. Mum: Do you like this gift you received from Hotel Chocolat? Mum: What do you like about it? Dan: I like the fact that it was all Christmassy because the chocolate was in a stocking. And also I liked the flavours. Mum: Can you tell us a bit about the flavours? Dan: Well there were three types of shape and three favours; one shaped as an angel which was caramel flavoured chocolate, one shaped as a reindeer which was white chocolate, and one which was shaped liked a penguin which was milk chocolate but tasted quite strong for milk chocolate. Mum: Which was your favourite? Dan: My favourite was the reindeer because I liked the reindeer shape best AND I liked the white chocolate best. Mum: Did you share the chocolate or did you eat it all yourself? Dan: I shared it with my family. My mum liked the caramel angels best. She thought they would be filled with runny caramel but it was solid chocolate that actually was caramel flavoured so that was cool as I think it's quite unusual. Mum: Anything else you want to tell us about the magical Christmas selection stocking? Dan: There were 12 chocolates in the stocking and they were each in their own wrapper with the shape and flavour written on it so it was easy to share out. As the white chocolate was my favourite I wish there was more than just two of those ones. Mum: It would cost £10 to buy it - do you think it is good value? Dan: I think it should cost a bit less because it is not a big stocking. But I think it is ok to be £10 because they do something similar to fairtrade so it is fair for the farmers. I think that's why it doesn't cost less so that is ok.
Mum: Is there anything else you like on the Hotel Chocolat website that you would consider buying? (or asking mum and dad to buy it for you)? Dan: I like trying new and unusual foods so I think that this cocoa pasta would be good to try out one day. Mum: And finally, do you think children would be happy to find this stocking on Christmas morning? Dan: Yes because it's very yummy. And grown ups would like it too! 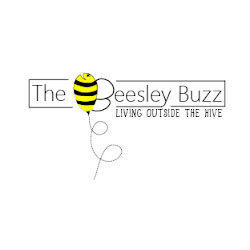 Mum and Dad will be doing a review of what they were sent from Hotel Chocolat soon so keep an eye out on their blog at The Beesley Buzz. Disclosure: I was sent this Magical Christmas Selection stocking free of charge from Hotel Chocolat so that I could review it on my blog. Everything I have said is my opinion of what I think about it. Thank you Hotel Chocolat! Makies Doll Review - Part 2 - It has arrived!